StackBot is a small C# application that is designed to post interesting questions to a Twitter account at specified intervals. StackBot is released under the Ms-PL license. StackBot will run on any supported .Net platform. 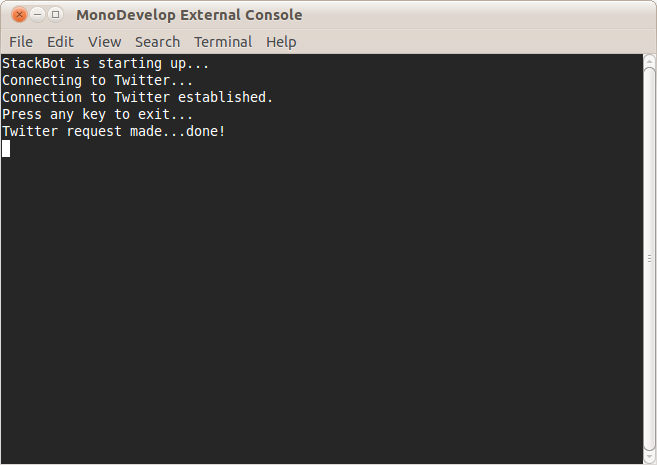 This includes Mono, so you can run it in Linux and on your Mac. Browse other questions tagged app questions c# twitter .